Whether you grow your own zucchini or buy them at the market, now is the best time to make these delicious, Low Carb Zucchini Pizza Boats while zucchini is at its peak. I made these Zucchini Pizza Boats with the first zucchini harvest out of our garden. We usually don’t get our zucchinis picked until they’re as big as baseball bats. It’s not that we wait for that to happen, it just that we’re always late in getting them picked, and zucchinis grow so fast it seems as they can grow 8-10 inches in a day, but maybe I exaggerate! For the purpose of this recipe, I suggest you use three medium sized zucchini. Of course, you can use the larger baseball bat sized ones but then you’ll be making more of a zucchini pizza ark! Ha Ha! Whatever floats your pizza boat, right? -In a large skillet over medium/high heat, brown the ground beef and onion together. Stir in 1 teaspoon dried basil, 1 teaspoon dried oregano, the fennel seed, garlic, 1 teaspoon salt, ½ teaspoon black pepper, and the can of diced tomatoes. Reduce the heat to low and simmer for 5 minutes. 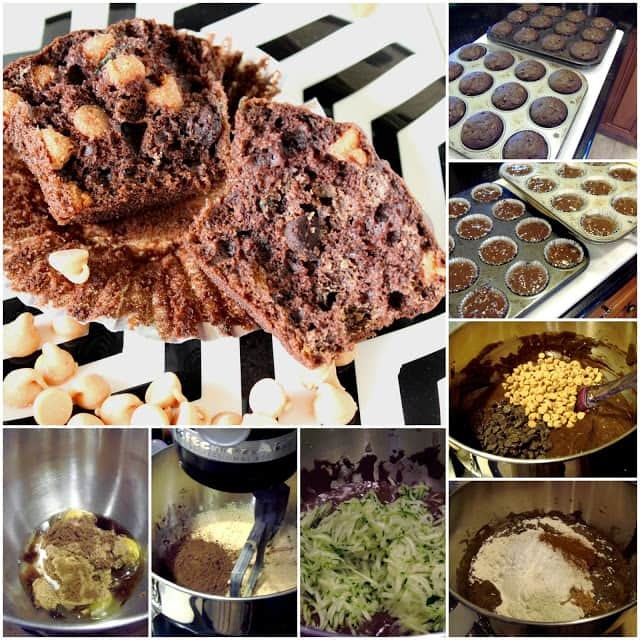 Turn off heat and allow the mixture to cool slightly. 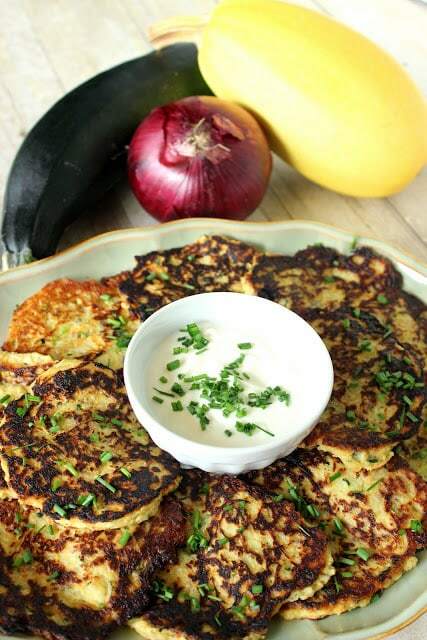 -Drizzle the cut and seeded zucchini with the olive oil. *Note – Slice the zucchini in half lengthwise and use a teaspoon to scrape the seeds from the zucchini. Discard the seeds and place the zucchini boats on a baking sheet (I like to cover my baking sheet with foil to aid in the clean up). -Sprinkle each zucchini half with the remaining salt, pepper, basil and oregano. 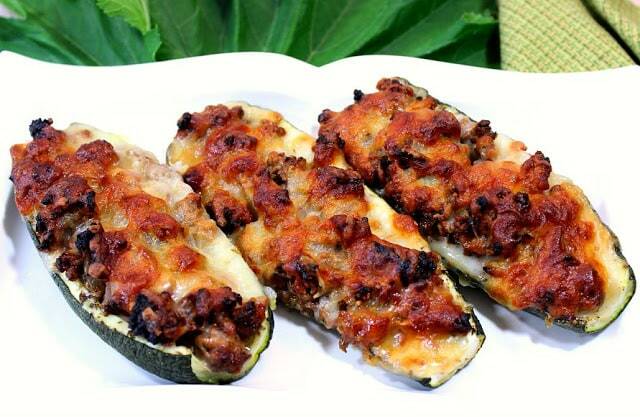 Use a spoon to fill each zucchini boat with the divided ground beef mixture. Top each filled boat with the Parmesan cheese. 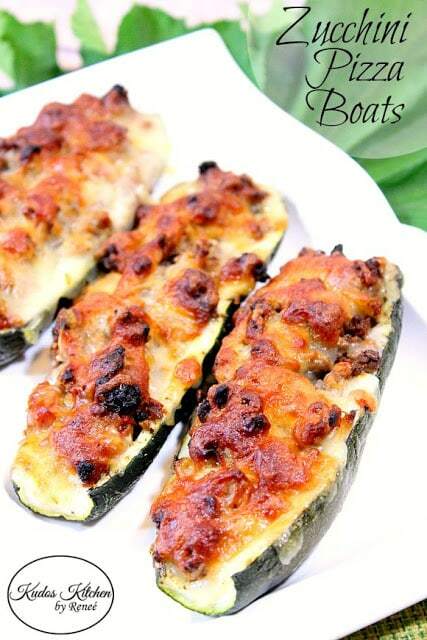 -Bake the zucchini boats in a preheated oven for 15 minutes. Remove from the oven and top the boats with the mozzarella cheese. Return the baking sheet to the oven to continue baking until the cheese has melted and becomes golden brown. Serve immediately. If you’re trying to eat low-carb (like we are here), these Zucchini Pizza Boats will curb your craving for pizza without all that pesky crust. Don’t get me wrong, I adore the crust, but there are times when substituting zucchini is the way to go, and I promise you won’t feel deprived! If there is ever anything I can paint for you, from aprons, to tea towels, to hand painted glassware, please don’t hesitate to contact me or visit my shop on Etsy. Custom orders are always welcome and always encouraged. 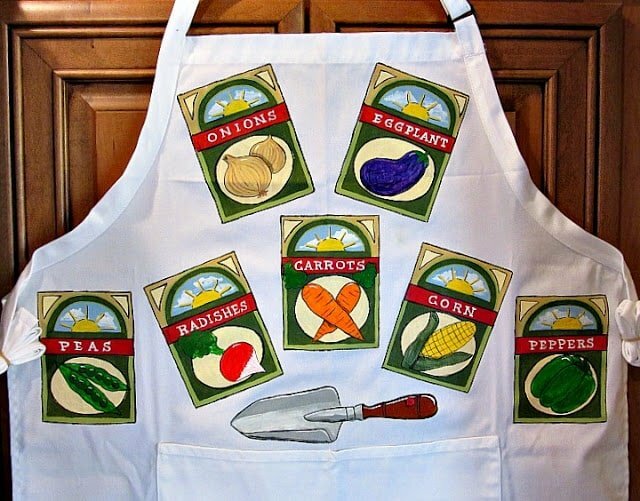 I need to make this for Kevin. He's trying to lose a few pounds and going almost no carb. The no pizza thing is killing him. 😉 Besides that, I want some. A zucchini ark, lol!! 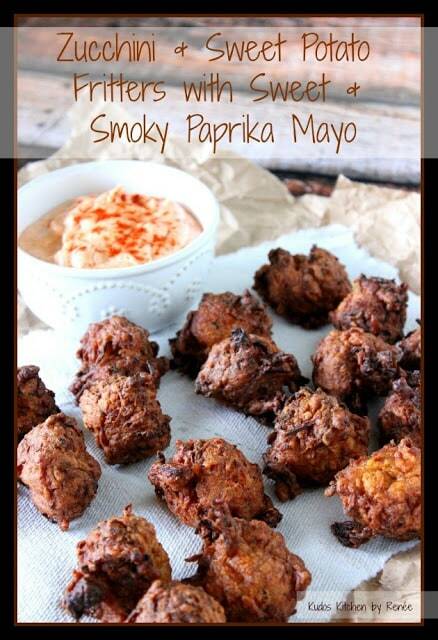 These look really yummy! Anything with the name pizza in it and my family will try it, even zucchini! I love your zucchini idea! I need lighter recipes to make this summer! 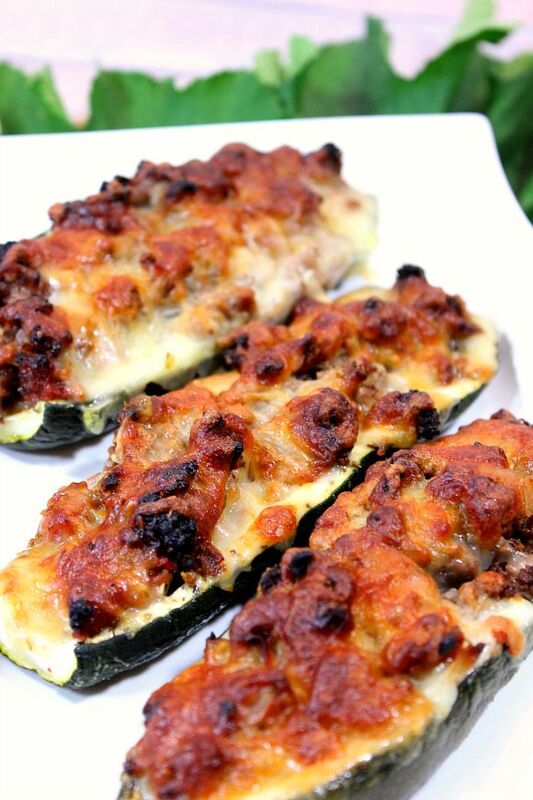 I love zucchini boats and I adore that you made these pizza flavored! YUM! I swear that one year we went away for the weekend and came back to zucchini the size of my thigh. It's grows like crazy! With all that meat and cheese, I might just be able to sneak the zucchini by my boys without complaint. I'm going to give it a shot! I haven't made stuffed zucchini in a long time! This has me craving it and I might have to make it happen soon! 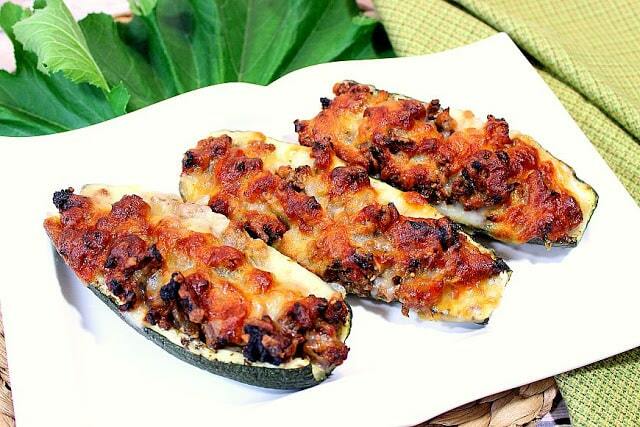 Stuffed zucchini is the bomb diggity, especially when it's stuffed to taste like pizza. I need help with my zucchini… I've been getting lovely flowers, but nothing great yet with the zucchini.What a wonderful way to enjoy summer's sweet zucchini! Can't believe it is low carb. What a great appetizer! Maybe this recipe will make me enjoy zucchini. I'll give it a whirl!